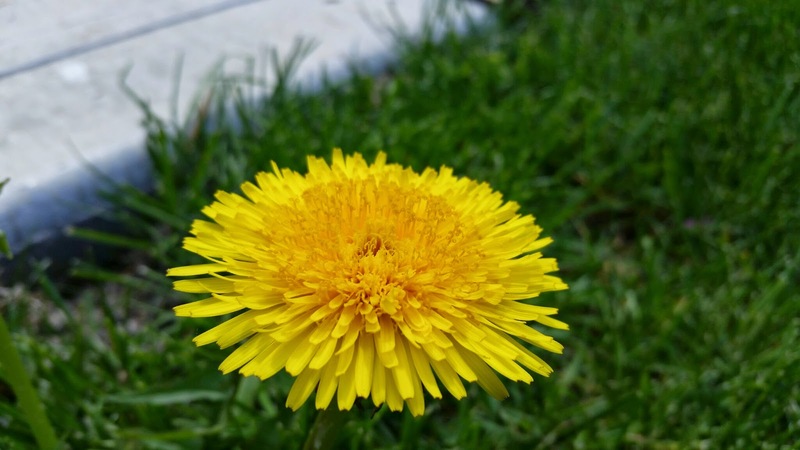 I like dandelions. When they're all bright and sunny and scattered all over the yard. They're really cheery little things, aren't they? If only they'd stay like this. But, instead, they suddenly get all tall and fluffy - and dandelion seeds spread at the slightest breeze. Which, I suppose, means more dandelions next time. If today is any indication, we're gonna have lots. 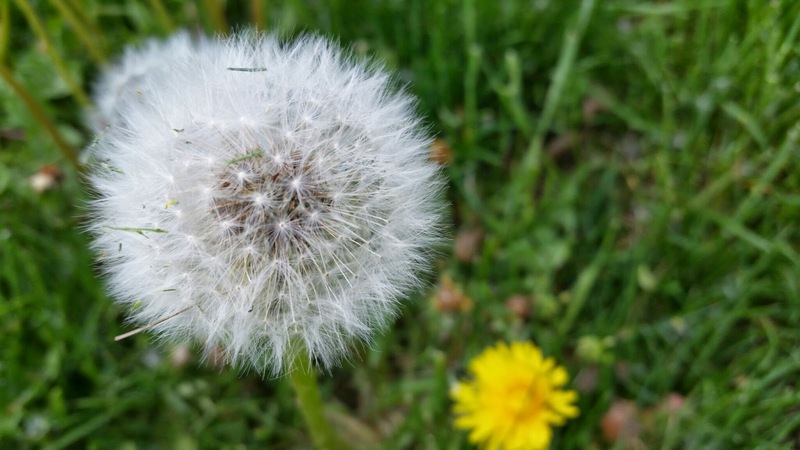 They say you should make a wish when you blow on a dandelion puff and send the seeds flying. 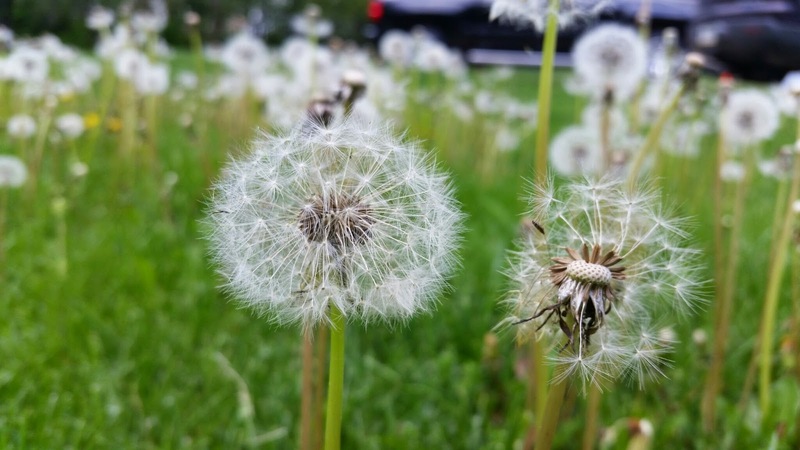 I didn't exactly blow on them, but I mowed through a whole bunch of leggy, fluffy dandelions today and sent seeds flying in every direction. Sometimes I had to hold my breath as I mowed straight through a cloud of them. I guess I should have been wishing my little heart out. The yard looks better now. 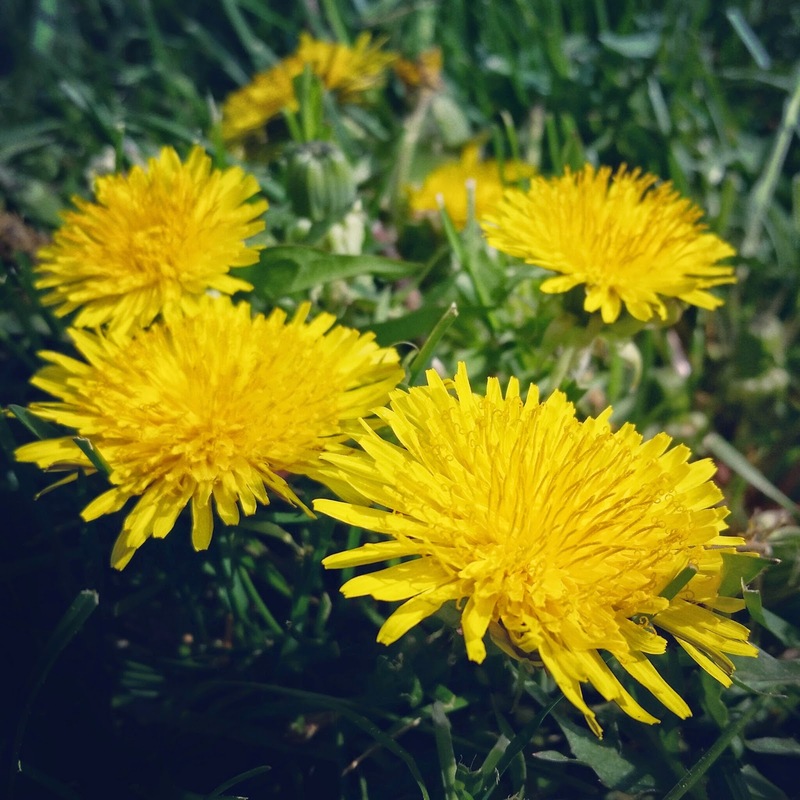 Except, have you noticed how some of those sneaky little dandelion stems lay down to avoid the mower? I bet they'll be standing up again by tomorrow. But they'll be naked.